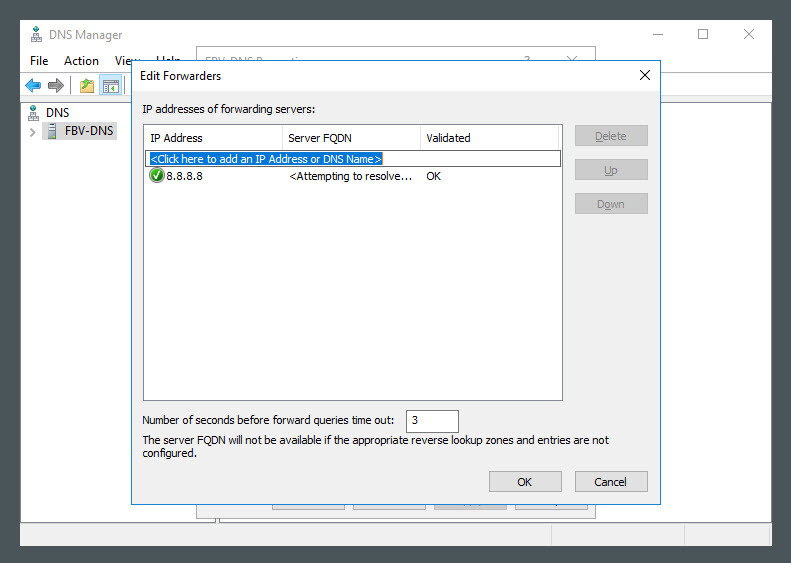 To configure the DNS forwarder (so it can resolve names it doesn’t have cached or in its zone file) we need to open the DNS manager. 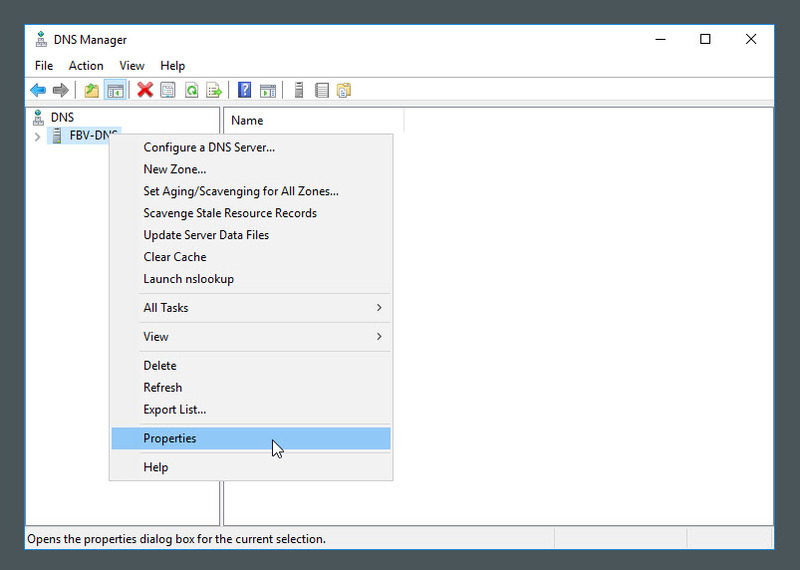 So hit the Windows Logo key on your keyboard, type “Server Manager” and then choose “DNS” from the Tools drop down menu in the upper-right corner of the screen. Yeah, I know it looks like nothing is going on here but there’s a magical world hiding under that FBV-DNS host in the left pane… check this out. 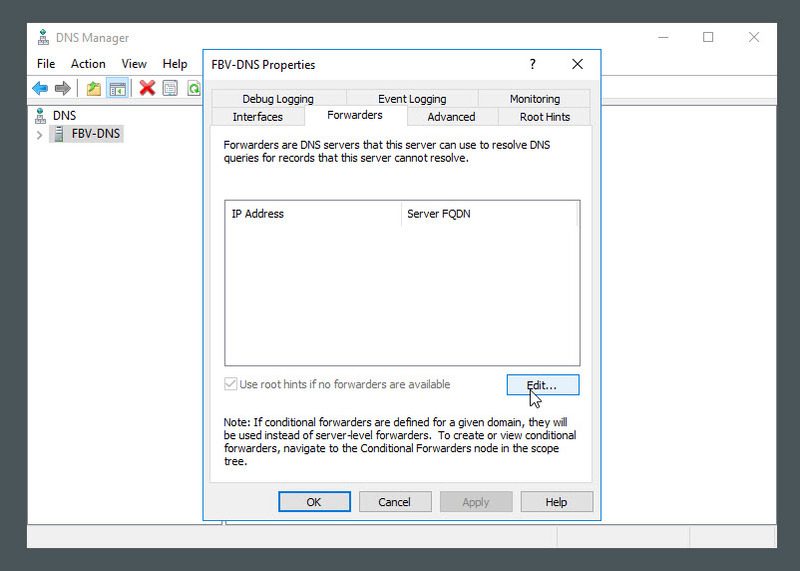 Hit the Forwarders tab, click the Edit button to prepare to add a DNS server that can resolve names for us. We’ll add 8.8.8.8 to resolve the addresses. 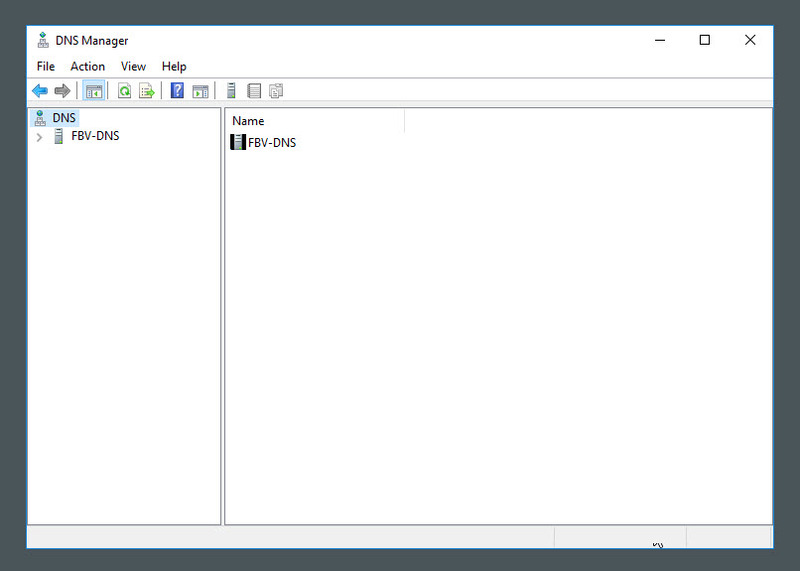 So to test this we’ll type ping youtube.com from our Windows 10 client machine. This will force our local computer to check its %WinDir%\System32\Drivers\Etc\hosts file for static entries and then its local cache for an A record mapped to the youtube.com domain name. So we have no mappings right now. 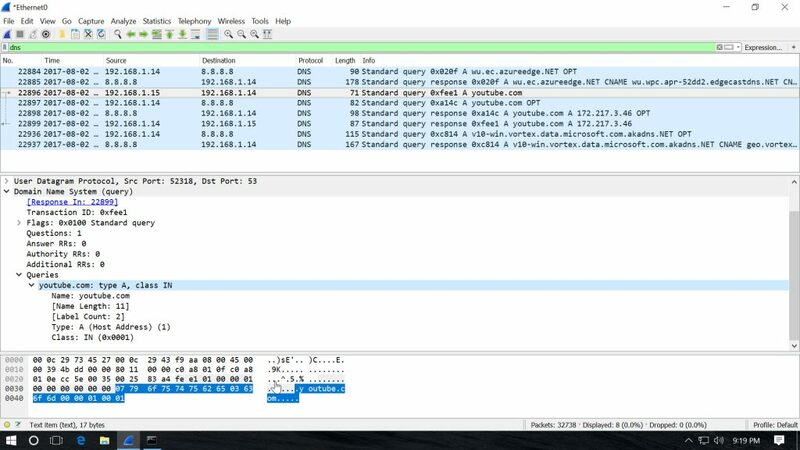 Let’s ping youtube.com and then check the local DNS cache. Yo, DNS server, I need you to give the IP address of youtube.com. This is called a Forward Lookup request and the DNS server made a forward lookup request for the A record belonging to youtube.com. Since we configured 8.8.8.8 as the forwarder, 8.8.8.8 took care of it. That Google DNS server, 8.8.8.8, looked up the name, replied to the Windows 2016 Server with the answer, the 2016 server cached the response and then forwarded the reply on to the client which can then cached the result as well. So we need to view the DNS cache. You can see the DNS cache record there. I took this from the client. 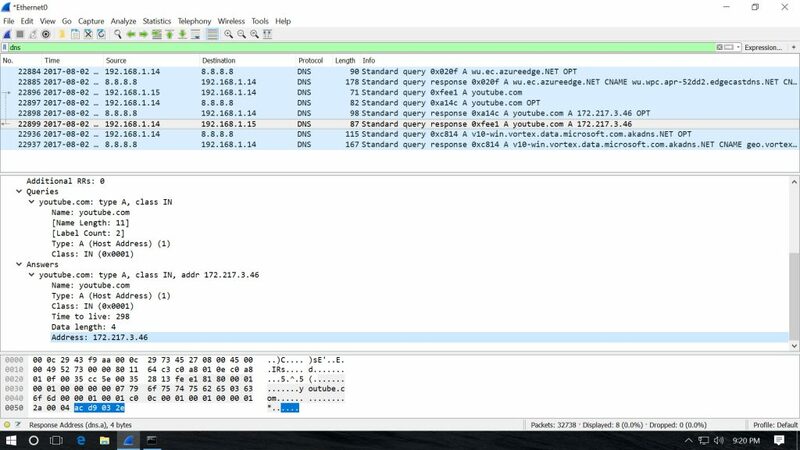 You can see the client (192.168.1.15) sending a DNS query to our Windows 2016 server (192.168.1.14) with the query of Type: A for youtube.com. This is in the middle pane. Best quickstart I have been able to find! Thank you for the time you put into this!